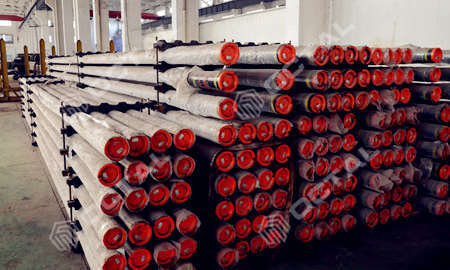 API 5L N80 type Q tubing pipe is a general grade tubing that widely used in oil and gas drilling activities. As we know Grade J55/K55 is the low grade in API 5CT specification for casing and tubing. A higher grade than J55/K55 is N80, it is a medium grade divides in N80-1 and N80-Q. For N80 type 1 and type Q tubing, chemical composition and mechanical strength is the same with N80 casing pipe. Both N80 and J55/K55 have similar chemical composition. A little differences on Mn content, which N80 has 2 or 3 percentage higher than J55/K55. Compared to grade J55/K55, N80-1/Q yield strength is higher 173 Mpa than J55/K55, tensile strength is higher 206 Mpa than J55, 44 Mpa than K55. For elongation, N80-1/Q is higher than J55, and similar to K55. 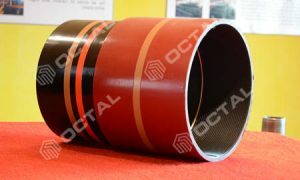 It is a mandatory for Grade N80 casing and tubing to do the whole pipe length heat treatment. Depends on manufacturers, normalized or normalized + tempering shall be applied for N80-1 tubing. For N80 type Q tubing heat treatment is Quenching. API 5L N80 type Q tubing is used in the medium pressure drilling environment. It is installed inside of the casing pipe, oil will be drilled from well and transported to ground surface. In drilling activities, N80 Q tubing suited with sucker rods, oil pumps. These three products worked as a important team in the drilling systems. The resource belongs to the product OCTG Tubing, API 5CT Tubing Click permalink to view detail & more descripton.